/ Modified may 14, 2018 3:05 p.m.
New homes going up in a development in northwest Tucson, February 2018. Lower home inventory and stagnant wage growth are combining to create a frustrating housing market for 2018. A National Association of Realtors report on housing trends shows single-family home prices went up in cities nationwide in the first quarter of the year. Tucson's median sales price rose by 6.4 percent compared to this time last year. 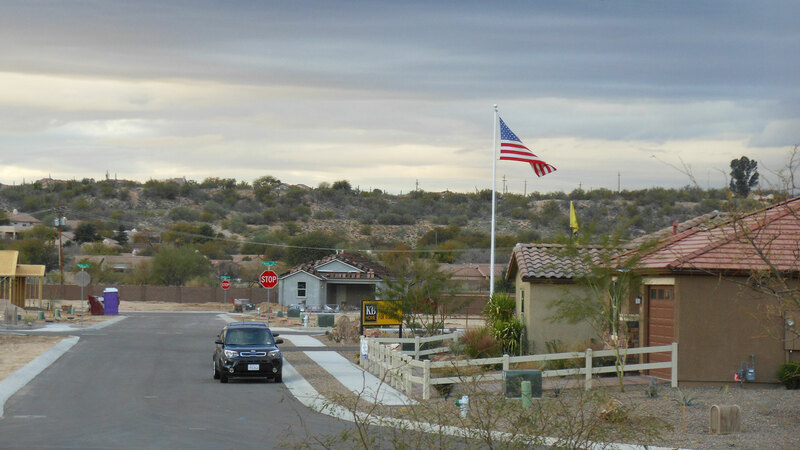 George Ratiu, the association's director of housing and commercial research, said some people moving to Arizona for new jobs are unable to find homes they can afford. "Wages have appreciated by 2 percent, yearly, adjusted for inflation," he said. "By contrast, home prices in general, at the national level, appreciated by over 6 percent." According to the report, the median sales price for a single-family home in Tucson stood at just under $216,000 dollars.